Issac Lanier Avant made $170,000 a year in congressional pay, yet the court found he didn’t pay any taxes for seven years. Prosecutors said he was dishonest throughout their investigation, and when he did file tax returns, he lied about donating $50,000 to a religious group and tried to take a “bizarre” tax write-off for rollerblading. Prosecutors asked for a one-year prison term, but Avant was sentenced in January to a monthlong stint in jail followed by a year of weekends in jail. Eight months into his weekends in jail, a grand jury indicted him on new charges: claiming he paid his taxes in order to get a top-secret clearance when he was the top Democratic staffer on the Committee on Homeland Security. Thompson hasn’t fired him because of that indictment, either. 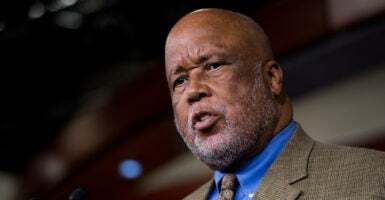 In September 2015, after the IRS began garnishing his wages for failure to pay taxes, the Congressional Black Caucus Foundation gave Avant an award for “exemplary leadership,” an award Avant trotted out at sentencing. In trying to show Avant’s good character, his lawyer said he had volunteered for a charity 20 years ago. They said he filed “a bizarre tax return” falsely claiming he donated $26,000 in cash to Catholic Charities, plus $22,000 worth of goods, including an oil painting and a coin collection.